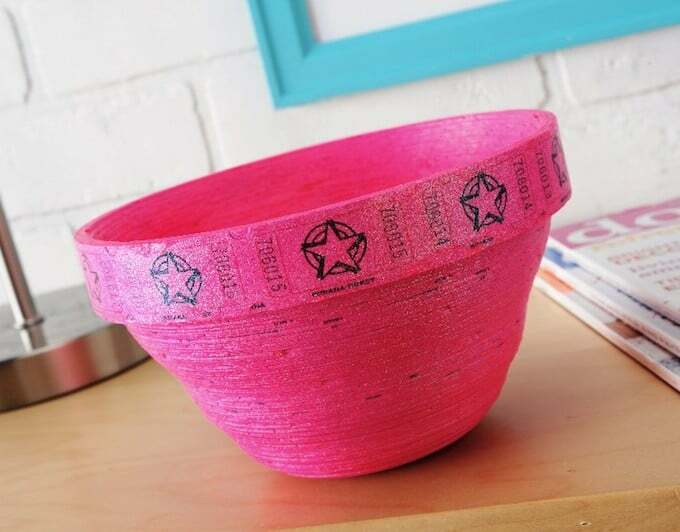 A DIY carnival ticket bowl is so easy to make! 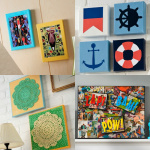 Mod Podge causes it to keep its shape and harden into a usable bowl – great for parties or home decor. I'm not the first person to do a ticket bowl. The thing is, I'm intrigued by them and I had to try one out for myself. Then I added a special little touch with FolkArt Extreme Glitter. My ticket bowl reminds me of Xanadu with the stars and the glitter – at least the Mod Podge version. But without Olivia Newton John. 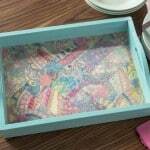 If you are a beginner this DIY carnival bowl is a great project, so pay close attention to these simple instructions. 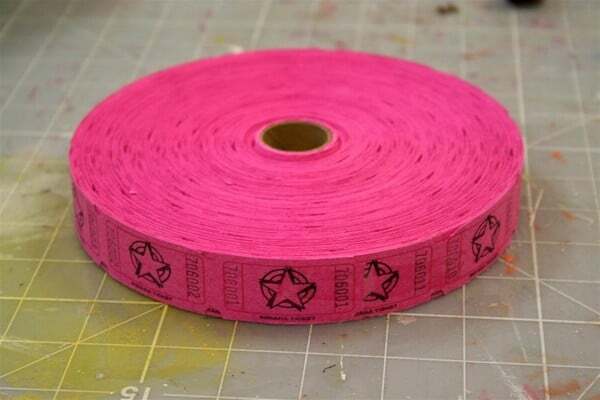 Ticket rolls are the new crafting trend, so I had to buy about a million off of ebay. They are so cheap! Start pushing the ticket roll in one direction. This part is really fun. 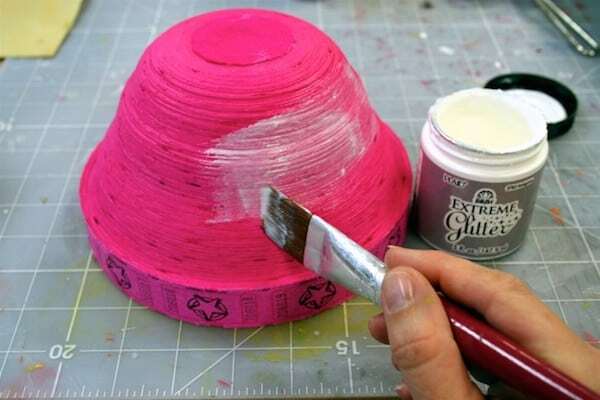 Is it a bowl or a Devo hat? Or both. 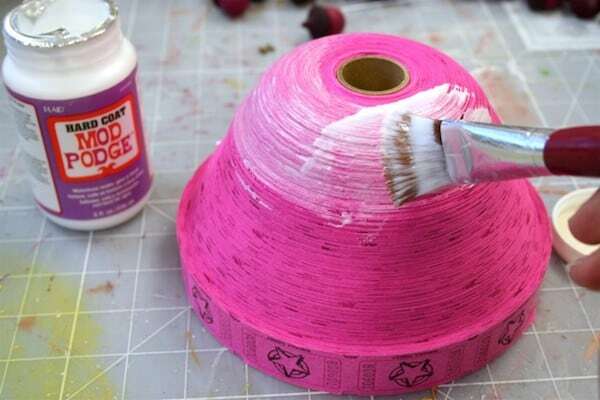 Once you get your bowl to the shape you like it, coat it with several coats of Hard Coat Mod Podge. 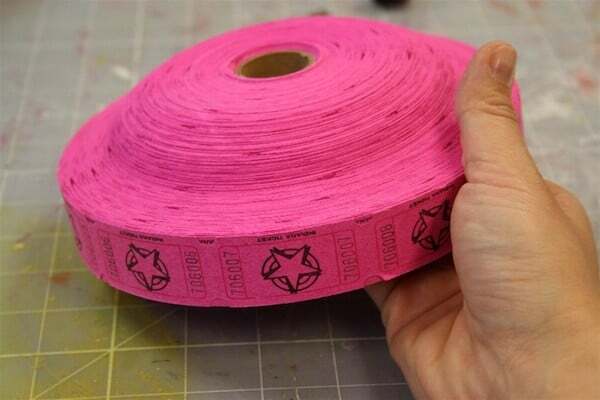 It will seep into the cracks and crevices between the tickets, so you don't have to worry. I did two coats on the outside, then turned the bowl over and did two coats on the inside. Allow to dry. Allow your glitter to dry and you're finished. Isn't the finish amazing? I'm super happy with my ticket bowl and am now off to make a ton of them. I want one, I want one. How amazingly awesome is that? Amazingly Awesone X’s 2!! How fun! I am so going to try to do this now! Hum…….. I like it!!!! This would make cute little Easter Baskets, something different, thank you for the ideas. 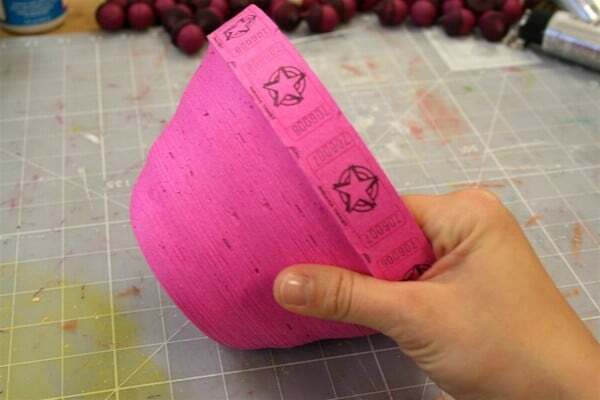 That’s such a fun idea – and the color is great, too! That’s very cool! I never saw one before. So *that* is what the Extreme Glitter is all about. Love it! Yep, yep. This is going on my to-do list. Fantastic! Love it! I love this! I especially love the color! I might have to check ebay for a roll or two! So I have this huge metal star and I was wondering what ideas you have to making it wow! It is currently painted hot pink, of course. I like to hang it in our entry way because of the high ceilings! I’m open for any and all suggestions! 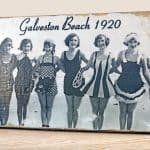 I wanted to let you know that I featured this on my weekly bookmarks post – stop by and check it out. Love! Featured you today over at Today’s Top 20! 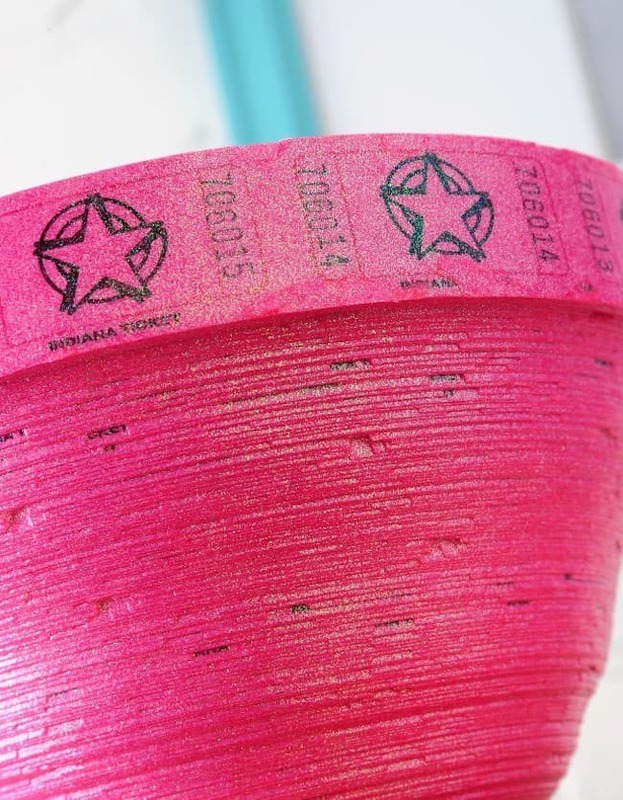 Ok, I’ve seen this done with film reels, but tickets are soo cool! The glitter is a great touch, especially since the tickets have stars on them. Love it! That is AWESOME!!! I am doing it!!!! I love how you do such great tutorials. Anyone can follow along. I had no idea tickets were a crafty trend right now, I am totally in the dark. haha. I stumbled and liked your post. Thanks for sharing Amy. This is so cool! How did I miss this?